Gratitude makes life worth living. 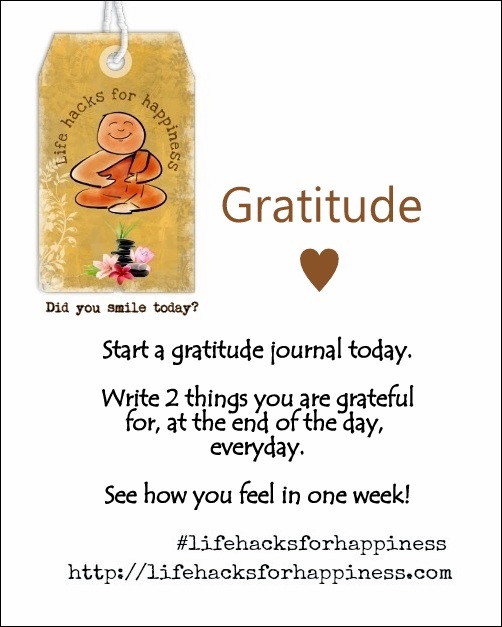 Start a gratitude journal today. Write 2 things you are grateful for at the end of the day, everyday. See how you feel in one week. Thank you Pratikshya! God bless you! Loving all the sweet little “Life Hacks” for happiness. These posts are just lovely. Beautifully laid out and great advice. I shall start my gratitude journal right now. Thanks Vidya. Thanks so much Anne! 🙂 I love making these!